Earlier this year (2016) I was on the radio on SSB, and I received an audio report during a longer conversation that described my audio as nasally and difficult to listen to. I did some research on the Astatic D-104, and there was a modification that was supposed to change the characteristics of the mic. I attempted this mod by following a step-by-step PDF which involved using a JFET, but for some strange reason it didn’t work well with my radio. It didn’t have enough audio output to push the finals of my radio! Time to put it back to how it was… The problem is that I don’t remember, and I didn’t document it before tearing it apart the first time. When I originally removed (most of) the original T-UG8 amplifier components, I never documented the original set up. This isn’t like me at all! This is where I ran into trouble today. 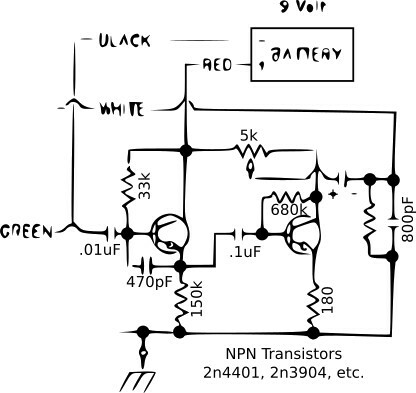 I had the schematic (shown below) and wiring diagram (shown above), and I had the parts, but I didn’t have a clue as to where they went on the original circuit board. I had to do a little puzzle to figure out where the parts should be soldered. 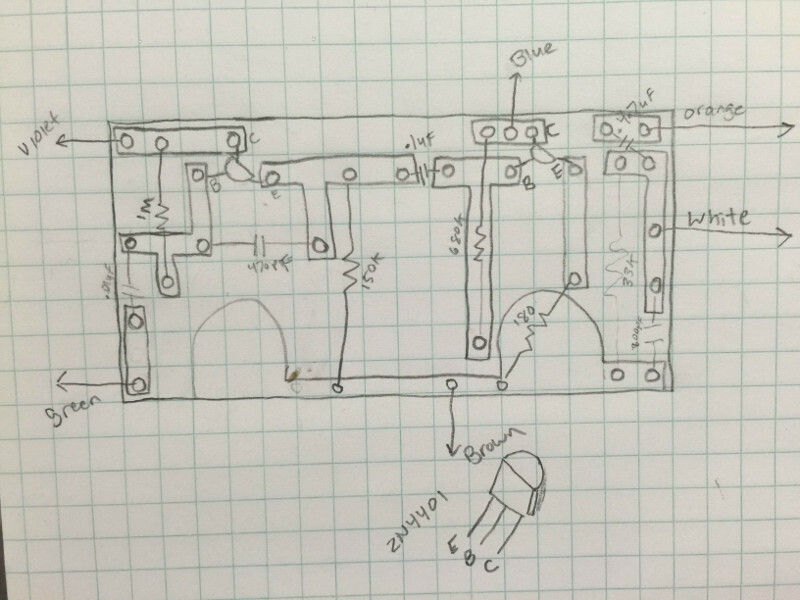 I made a drawing on graph paper of the circuit board, and I placed the holes roughly to scale on the graph. Then I shined a light through the back of the circuit board, and I drew the traces onto that graph. 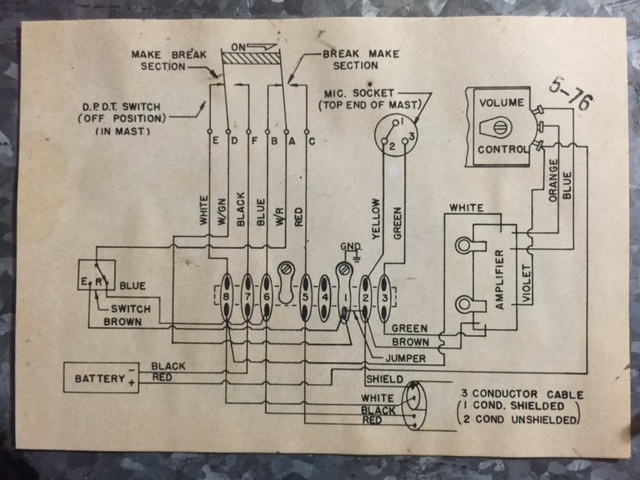 At this point I had to make a few guesses based on these three pieces of information: the schematic, the blank board, and the factory wiring diagram. I started by looking at places that had three holes close enough for a transistor. On the left, top side of my drawing you can see where I placed it. I also needed the base of the transistor to have two caps and a resistor connected to it. 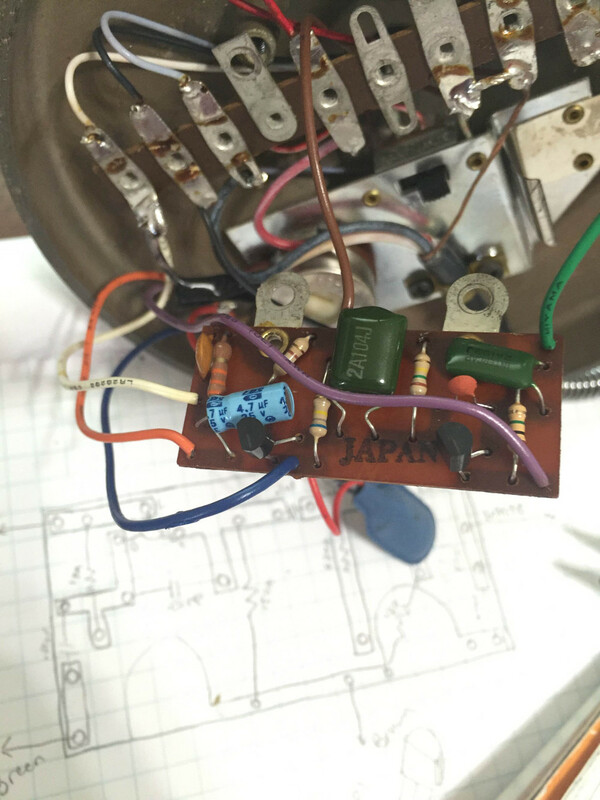 From this I was able to place the violet and green wires, all of the components to the first stage, and I was able to guess where the base of the second transistor went. It was downhill once I had the first section installed. (It helped that the 33k resistor, the 4.7uF cap, the 800pf cap, and the orange and white wires were not removed!) The brown wire was still hanging out in the base, and there was one hole left over; It was for the ground! I constantly used the three pieces of information to draw this final conclusion. At this point I have a completed schematic and component location, so I proceeded to install the parts on the original circuit board. The hardest part was bending the bases of the transistors so they would fit nicely on the circuit board. It didn’t take long to solder the parts in. Before closing the base of the T-UG8 I ran into the radio room and tested it out. 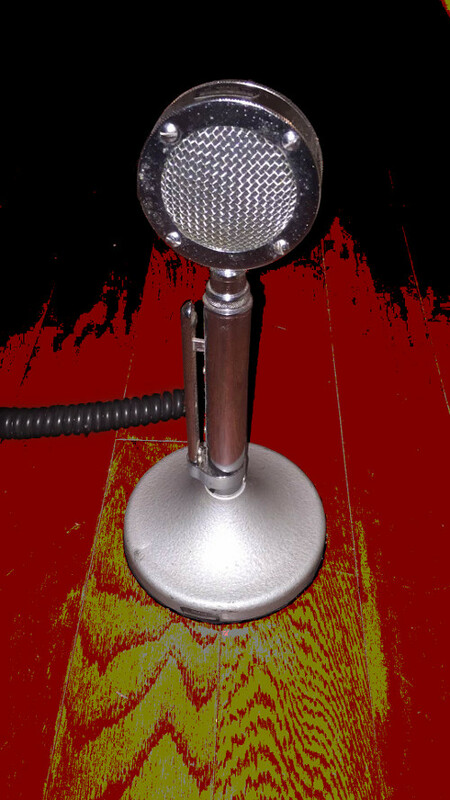 I’m back to the nasally sound that the D-104 sounds like in modern radios! Next time I’ll modify an old Astatic D-104 with a new electret mic element and a better circuit instead of messing with my DX chaser.